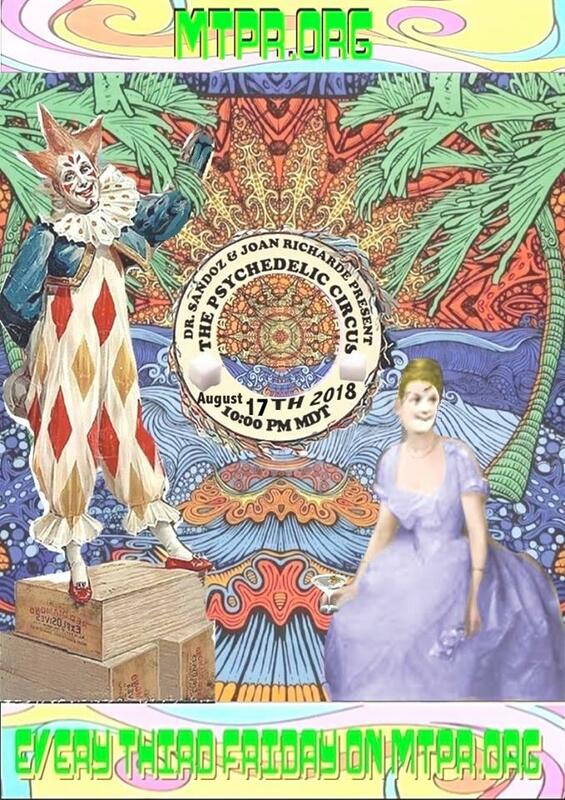 Tune in to the "Psychedelic Circus" from 10 p.m. to midnight Friday, August 17, on your radio or online, only on Montana Public Radio. The "Psychedelic Circus" returns Friday, August 17 with a stash of musical gems from the classic years of psychedelia. This month the show will feature selections by The Spike Drivers, that obscure Detroit psychedelic band who should have made it big, but instead got lost in the Motor City ozone. So dig out the love-beads, put some flowers in your hair and join your hosts, Doc Sandoz and Joan Richarde, as we levitate atop the peak of mysterious Mescalito mountain. Tune in from 10 p.m. to midnight Friday, August 17, on your radio or online at mtpr.org, only on Montana Public Radio.